For the majority of scientists, peer review is seen as integral to, and a fundamental part of, their job as a researcher. To be invited to review a research article is perceived as a great honour due to its recognition of expertise, and forms part of the duty of a scientist to help progress research. However, the system is in a bit of a fix. 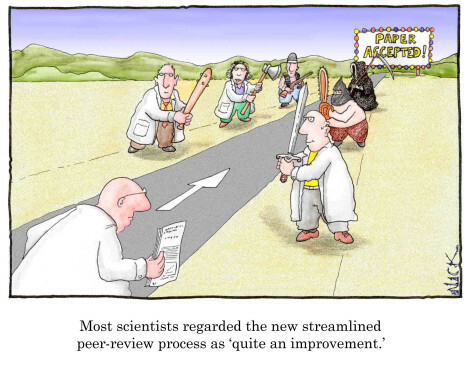 With more and more being published every year and ever increasing demands on the time and funds of researchers, the ability to competently perform peer review is dwindling simply due to competition with other aspects of duty. 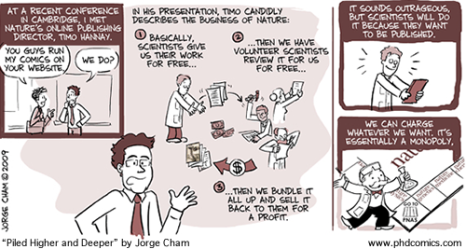 Why, many researchers might ask, should they spend their valuable time reviewing others work for little to no recognition or reward, as is with the traditional model? Indeed, many publishers opine that the greatest value they add is through managing the peer review process, which in many cases is performed on a volunteer basis by academic Editors and referees, and estimated to cost around $1.9 billion in management per year. But who actually gets the recognition and credit for all of this work? According to a recent Wiley survey of nearly 3,000 peer reviewers, feedback and acknowledgement are valued far above either cash reimbursements or payment in kind for their work as referees. This begs the obvious question of how this is supposed to happen within an anonymous peer review system. We see it frequently in the Acknowledgement sections of papers: ‘The authors would like to thank two anonymous referees for their feedback and comments’, or something along those lines. In these cases, the referees get no public credit for their work, unless they elect to sign their reviews before passing them on to the handling Editor. The only current form of acknowledgement is a private thank you note from the Editor, which usually takes the form of an automated template message upon completion of the review. The value of such an act will vary from person to person, but could easily be integrated with a note on the quality of their reviews so that they can improve in future, if needed. However, this traditional model falls well short of any sort of systematic feedback or recognition which, according to the Wiley survey, is required for the wealth of currently unrewarded peer review that academics perform. In addition to this failure within publisher-referee-author interactions, peer review is currently not a sufficiently acknowledged activity by practically all research assessment bodies or institutions. 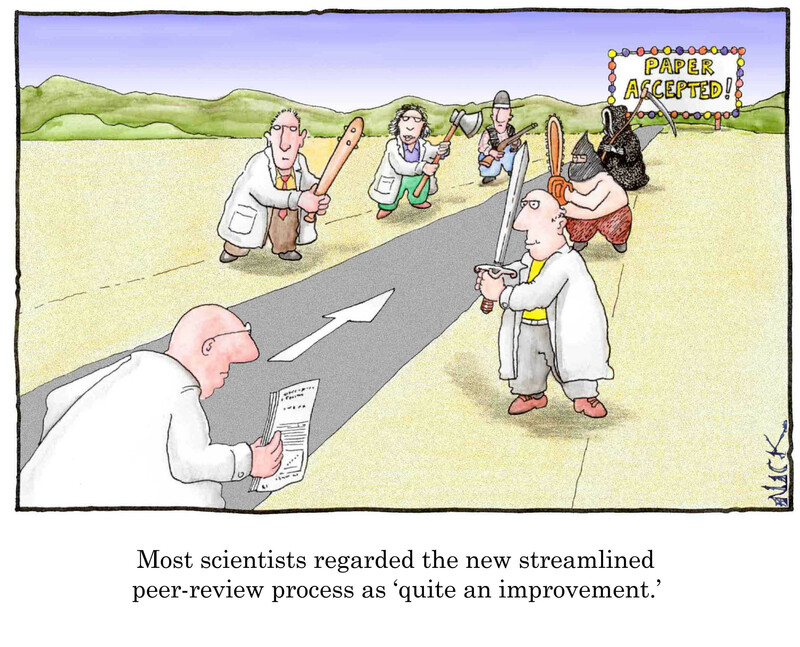 The Wiley survey reports that 80% of researchers agree that there is insufficient recognition for peer review as a valuable research activity, and that researchers would actually commit more time to peer review if it became a formally recognised activity for assessments, funding opportunities, and promotion. So the lack of credit received by referees is actually a contributing factor to the stagnation of traditional peer review. New initiatives like Publons aim to provide a mechanism where researchers can receive due credit for their work as referees. They have the option of whether or not to publish the full referee reports, and provide a ranking of the quality of the reviewed research article. In doing so, open peer review in this manner links accountability (more on this in a future post) with recognition credit, thereby solving the dual issues of rigour and reward. At ScienceOpen, we consider referee reports to be an integral part of the research process, and at the core of an evolving dialogue. All reviews are made openly available via a CC BY 4.0 license, and come with CrossRef DOIs to help them become fully citable, to give sufficient recognition to the review process. Review histories can therefore be used as a record for CVs or for applications for Editorial boards, and are a demonstration of research expertise. For example, your peer reviews at ScienceOpen can be added to your ImpactStory profile. Additionally, making review reports open means that the research community can evaluate the review process, and provide feedback as part of an ongoing research discussion. Through this, we hope to help drive home the idea that peer review is not the final say on a research article, but instead is a continuous and evolving process of collaboration, evaluation and feedback. This is the second post in a five part series on peer review. You can read the introductory post here.